Catherine Lasch was born in March 1838 at Beaufort, Echternach, Luxembourg. She was the daughter of William Lasch and Eva Wolff. 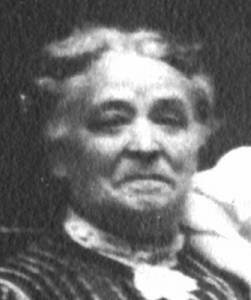 Catherine Lasch was widowed on 8 January 1894 at 371 South Pearl Street, Albany, Albany County, New York.2 She left a will on 25 October 1898 at Albany, Albany County, New York. She named her brother, Peter Lasch, as Executor. She was on the census of 6 June 1900 at 169 South Pearl Street, Albany, Albany County, New York, Enumerated with son-in-law, Patrick Hart ED 17, Ward 5, Sheet 7A, Image 13, Line 12, Dwelling 98, Family 154 Film# T623-1004.3 She was on the census of 26 April 1910 at 55 Broad Street, Albany, Albany County, New York, Enumerated with daughter, Susie Rohrmiller, ED 7, Ward 2, Page 22A, Line 9, Dwelling 118, Family 215, Film# T624-920. Catherine Lasch died of Bronchitis on 9 November 1911 at the home of her daughter, Louise Nehring, at 828 Duane Avenue, Schenectady, Schenectady County, New York, at age 73.4 She was buried in November 1911 at Our Lady Help of Christians Cemetery, 41 Jolley Road, Glenmont, Albany County, New York. Catherine's estate was probated on 13 November 1911 at Albany, Albany County, New York. The Executrix was her daughter, Louise Nehring. This was due to the fact that the ealier named Executor, Peter Lasch, had predeceased his sister, Catherine, in death. [S73] The Albany and Rensselaer Directory, 1912, page 667.